If you’re lucky enough to enjoy a three-day Labor Day weekend, why not enjoy your leisure time less expensively? There are plenty of deals on video game hardware, software and accessories to go around, including a few big franchise sales (Star Wars, Assassin’s Creed, Far Cry). Steam Controller and Steam Link: Valve is selling its Steam Controller and Steam Link hardware at a deep discount. GameStop is matching those prices, but some of the best deals are in Valve’s bundles. 4 TB Western Digital External USB 3.0 Portable Hard Drive: On sale for $109.99 ($90 off) at Best Buy. Also available in 2 TB ($79.99) and 1 TB ($59.99). PlayStation VR Launch Bundle: Sony effectively shaved $50 off the price of its PlayStation 4 virtual reality headset this week. Available with a PlayStation Camera for $393.35, or with the camera, two Move controllers and PlayStation VR Worlds for $449.99 from Amazon. Microsoft Store Labor Day PC deals: Save on laptops, monitors and gaming PCs from Acer, Alienware, ASUS, HP, Lenovo, Razer and more. Microsoft Kinect Sensor for Xbox One: Still need one of these? They’re just $37.89 at B&H Photo. Xbox Digital Gift Cards: Get 10 percent off gift cards ranging from $10–$100 values on Amazon. 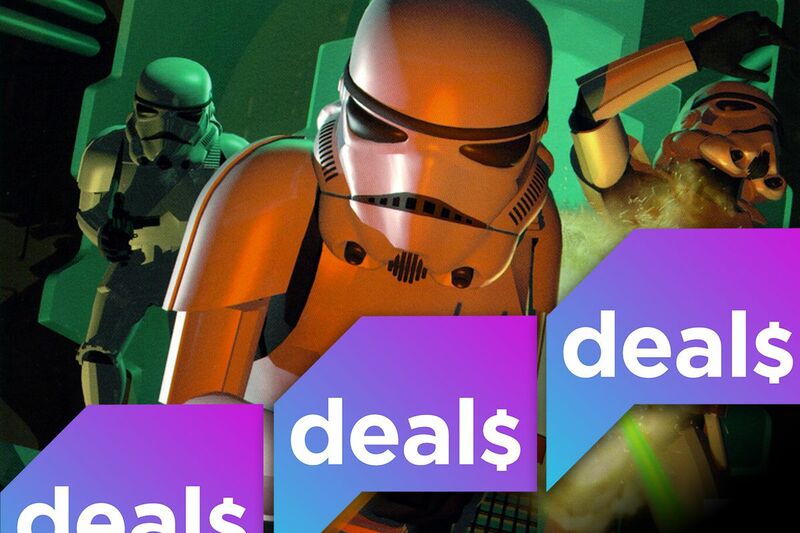 Steam Star Wars Sale: Celebrate Force Friday II with savings on dozens of PC games. The Star Wars Complete Collection offers 24 Star Wars titles for $91.86 (66 percent off) on Steam. PlayStation Store Far Cry sale: Save up to 75 percent on the Far Cry franchise for PlayStation 3 and PlayStation 4 at the PlayStation Store. Xbox Assassin’s Creed sale: Ubisoft’s Assassin’s Creed franchise is on sale on Xbox 360 and Xbox One. Get Assassin’s Creed Syndicate for just $20, The Ezio Collection (Assassin’s Creed 2, Brotherhood and Revelations) for $25 or the Assassin’s Creed Triple Pack (Black Flag, Unity and Syndicate) for $29.70 from Microsoft. Green Man Gaming: Save 15 percent on new PC releases, including Absolver, Life is Strange: Before the Storm, Warriors All-Stars and XCOM 2: War of the Chosen. PlayStation Store PAX flash sale: Save up to 70 percent on more than 100 titles for PS4, PS3 and PlayStation Vita. Ends Sept. 5 at 8 a.m. PT. Prey: It’s just $29.99 at Best Buy on PS4, Xbox One and Windows PC. The Silver Case: Suda51’s remastered classic for PS4 is just $14.97 (50 percent off) at Amazon. Overwatch: Game of the Year Edition: On sale for $39.99 (34 percent off) on PS4, Xbox One and PC at Amazon. Dirt 4: The “Day One Edition” of Codemasters’ racing game is $44.99 (25 percent off) at Amazon. Star Trek Bridge Crew: The virtual reality simulation of the U.S.S. Enterprise is $24.99 (50 percent off) at Amazon and on Steam. Polygon Deals is a weekly roundup of the best deals on the internet, curated by Vox Media’s commerce editor, Chloe Reznikov, in collaboration with Polygon’s editorial team. You can submit deals to [email protected] and find more Deals here. Vox Media has affiliate partnerships. These do not influence editorial content, though Vox Media may earn commissions for products purchased via affiliate links. For more information, see our ethics statement.